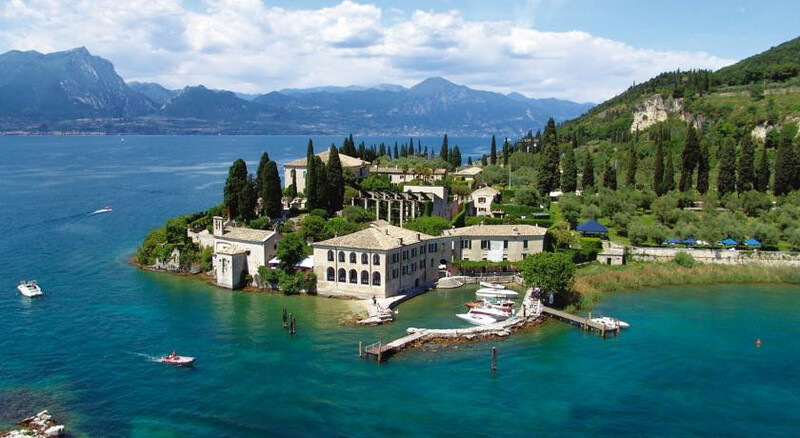 Private balconies overlooking the lake, palatial fourposters and romantic walks through fragrant gardens. Lovely gardens plus one of the oldest lemon groves in Italy. Children of all ages welcome and babysitting is available. Private motorboat rides can be arranged to explore the lake. 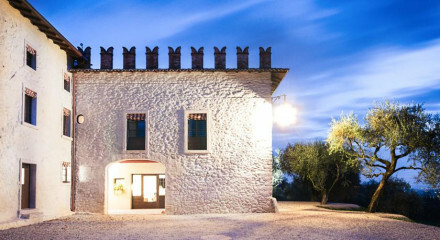 The hotel has its own Emporium where you can buy prints of drawings by Venetian artists, painted ceramics and fabrics. Spend a pampering day on the private beach area, with lounge chairs and an informal cafe. Charter a boat for hire from Lega Navale, just 2 km down the road. 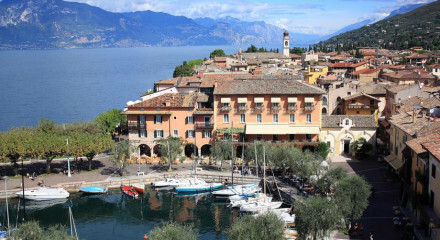 The hotel offers rental bikes, an ideal way to explore the towns and beaches along the lake shore. Wander along the Cypress shaded avenue to the Parco Baia delle Sirene. Tennis club di Garna is 4 km from the property and equippment can be rented on site. 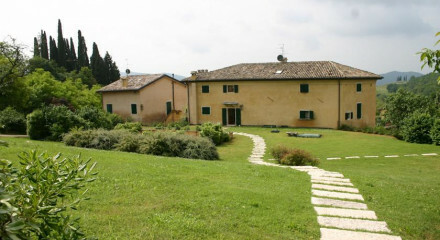 The hotel will organise tours of the nearby Valpolicella region, plus the Museo del Vino is only 7 km away. "It feels more like a private home than a hotel. A handful of rooms are in the main building, while others are dotted around the grounds in secluded locations, ensuring plenty of privacy." Walls are adorned with 16th-century paintings and 18th-century prints. Interiors are furnished with the owners’ private collection of antiques and oriental rugs.